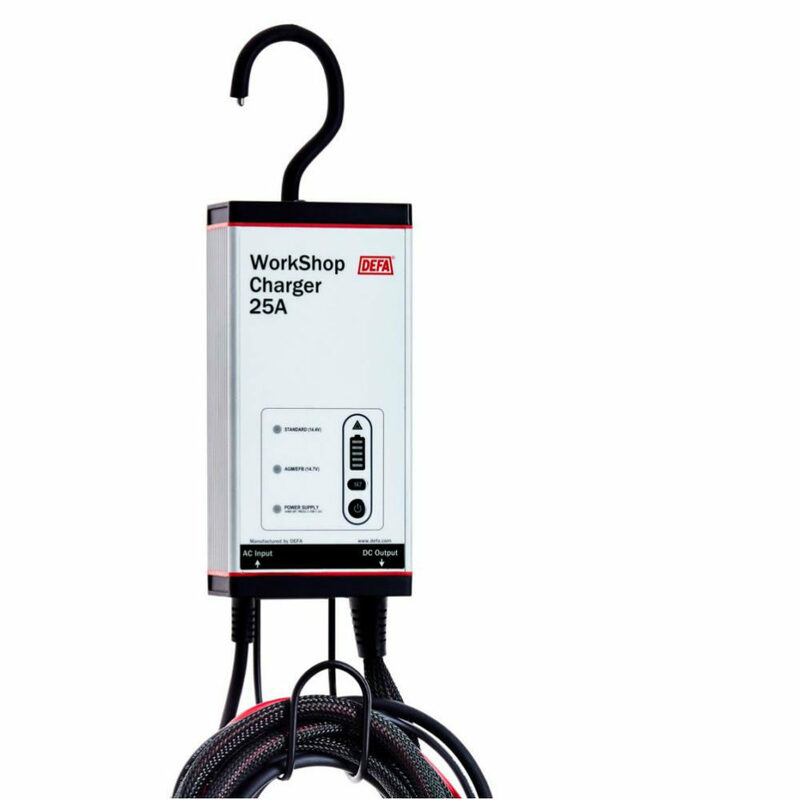 WorkShopCharger 25A features modern switchmode technology, galvanic isolation, a temperature compensated charging cycle and excellent efficiency. This protects sensitive electronics and improves the performance and lifetime of the battery. WorkShopChargers can also recondition degenerated batteries with automatically controlled software.